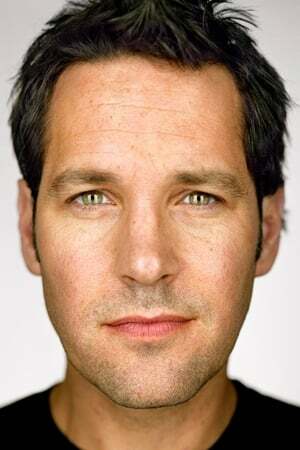 Paul Stephen Rudd (born April 6, 1969) is an American actor, comedian, writer, and producer. He studied theatre at the University of Kansas and the British American Drama Academy, before making his acting debut in 1992 with NBC's drama series Sisters. He is known for his starring roles in the film The Cider House Rules (1999), Halloween: The Curse of Michael Myers (1995), and the comedy films Clueless (1995), Wet Hot American Summer (2001), Anchorman: The Legend of Ron Burgundy (2004), The 40-Year-Old Virgin (2005), Knocked Up (2007), Role Models (2008), I Love You, Man (2009), Dinner for Schmucks (2010), Our Idiot Brother (2011), Wanderlust (2012), This Is 40 (2012), and Anchorman 2: The Legend Continues (2013), and for playing the superhero Ant-Man in Marvel Studios' Ant-Man (2015) and Captain America: Civil War (2016). In addition to his film career, Rudd has appeared in numerous television shows, including the NBC sitcom Friends as Mike Hannigan, along with guest roles on Tim and Eric Awesome Show, Great Job! and Parks and Recreation (as businessman Bobby Newport), and hosting Saturday Night Live. Rudd received a star on the Hollywood Walk of Fame on July 1, 2015. Description above from the Wikipedia article Paul Rudd licensed under CC-BY-SA, full list of contributors on Wikipedia.